A conference is more than just a meeting of people. It’s about location, planning and communication. Here at Knebworth we understand this and work with you to bring these elements together to ensure that your event runs as smoothly as possible. 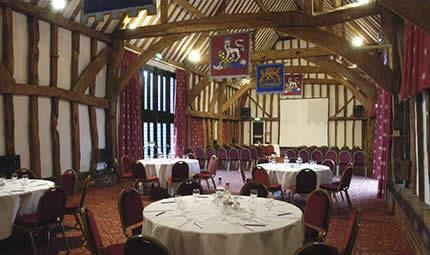 Our House, Garden Terrace Barn and 16th century Tithe Barns provide the perfect setting for conferences of up to 200 delegates with full access to AV equipment. 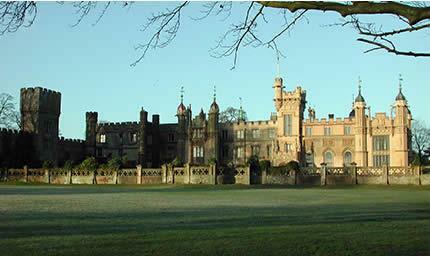 There are few more romantic places in the British Isles to hold your event that at Knebworth House. 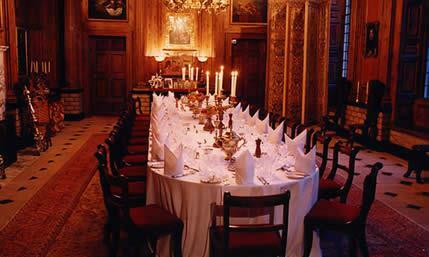 If you're looking for a classic dinner seating up to 60, a seminar of 100, or a reception for 200, within 30 miles of London, you've come to the right place. 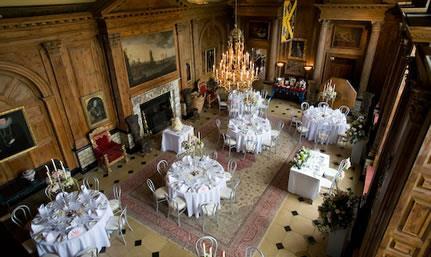 Knebworth House's Jacobean Banqueting Hall, one of the most beautiful rooms in the country, has played host to guests from Queen Elizabeth I to Queen Elizabeth II. You will be dining at the same fireside as Prime Ministers, artists, authors, philosophers, explorers, joining one of England's most illustrious guest books. 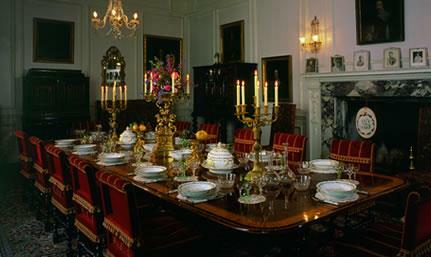 Also available are the Edwardian Dining Parlour, designed by Sir Edwin Lutyens, and the Victorian Library of Sir Edward Bulwer Lytton, one of the 19th Century's formost novelists and statesmen. Why not begin your evening on the sunken lawns of the formal gardens? This slendid backdrop provides a sumptuous setting for drinks, croquet and string quartets. 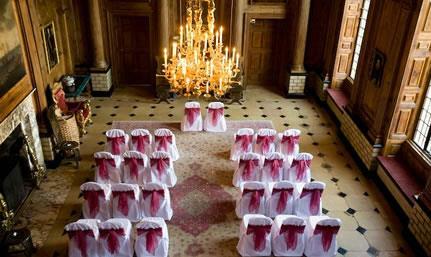 Knebworth House received its licence to host Civil Ceremonies in Dec 2007 for ceremonies up to 80, and Wedding Breakfasts for up to 60. The Knebworth Barns are made up of two 400-year-old Tithe Barns, lovingly restored to create a unique setting, and is in walking distance to the House. The Barns seat up to 200, and are available for conferences, product launches, exhibitions, banqueting, themed occasions, and licensed for civil weddings. House tours available, incentive/coach parties welcome. 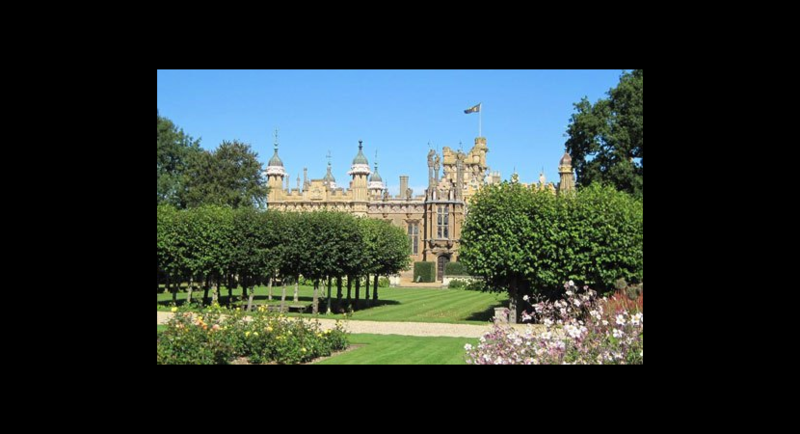 Knebworth Park’s 250 acres of rolling parkland can be used extensively for: corporate events, marquees, public events, motorised/traditional country hospitality, family days from 40 to 40,000, open air concerts up to 125.000. Our on-site staff are highly experienced in providing catering, bars and event management. 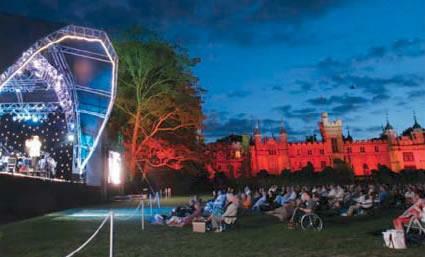 At Knebworth, we are more than just a venue! The Garden Terrace Barn has seating for 76 guests and during the Park's open season serves a variety of hot and cold snacks, freshly-prepared sandwiches, homemade cakes, tea, coffee and much more. During the Park's closed season the Garden Terrace Barn is available for private hire. 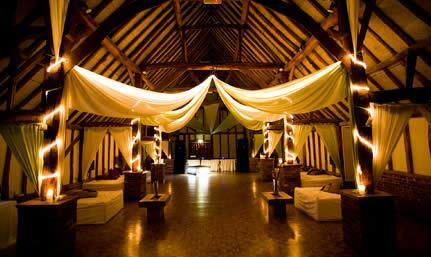 The Knebworth House Garden Gazebo hosted its first wedding in the summer of 2003 and is licensed for up to 180 people. The Cobbold and Lytton Barns, completed in September 2011, are two brand new oak structures. Benefiting from their own private garden area and direct access into Knebworth Formal Gardens they are perfect for summer parties. They can also be used for exhibitions, wedding receptions, dinner dances, product launches, family fun days and so much more. The Lytton Barn is the perfect venue for private lunches, intimate dinners and is ideal for those smaller meeting requirements. Knebworth is synonymous with live music. The Rolling Stones, Queen, Oasis and Robbie Williams… over 100 major artists have played Knebworth festivals since their inception in 1974 in front of over two million fans. The 250 acres of rolling parkland can also be used extensively for major public events and concerts for up to 125,000 guests, and of course, open air festivals. 35 acres Ideal for off road activities. 12 acres In front of the house and beside the church. 35 acres Large space in front of the Barns. 35 acres Ideal for activities. 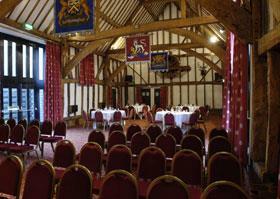 6 acres Prestigious location for small concerts and traditional activities such as archery. 35 acres Field on a slope. 35 acres Large tree lined private area. View of the house. 35 acres Private fenced area, ideal for large events and with great view of the House. 51 acres Direct access from A1M. Ideal for overflow car parking. Situated to the side of the House. 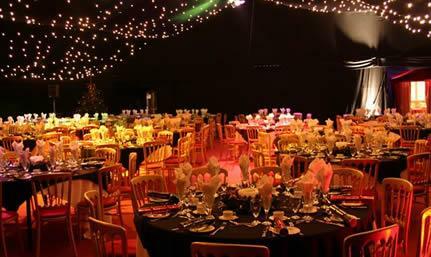 Ideal for marquee hire.